The Depths of holes, slots, shoulders, and projections can be measured to .001" or 0.01mm with these fine tools. The No. 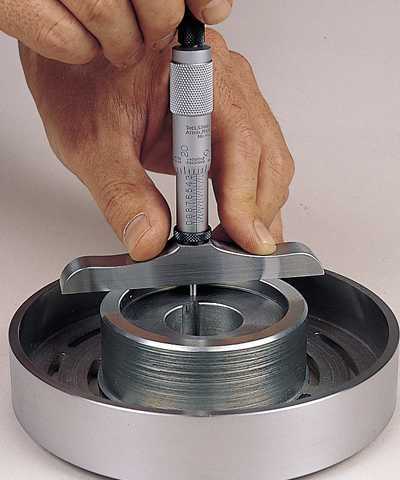 440 gages are furnished with a 2-1/2" (63.5mm) base and 1/8" (3.2mm) diameter measuring rods. The No. 445 gages are furnished with choices of 3" (75mm), 4" (100mm), and 6" (150mm) bases and have 5/32" (4mm) diameter measuring rods. Furnished in an attractive, protective case.